Czech Republic's purveyors of chaos, Ritual whispering, invocation Inferno and the bringer of wrath, darkness, and liberation Draconian elite Athenian black metal group Devathorn call upon the maddening rays with the brand new split entitled " Zos Vel Thagirion" via World Terror Committee. Mixing black metal with esoteric, obscure, mysterious, introspective passages, dense otherworldly blasting, avant-garde together was always their forte. They both have created a sound as powerfully evil and they intend to abuse us with a punishingly relentless display of rhythms and some overall solid riff, albeit a touch generic for the genre. This is filled with more unearthly, astounding, critical acclaimed, heavy, claustrophobic misery, enigmatic melodies. This new Split is consist with 4 tracks. 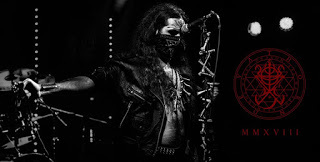 Indeed they both are the well-established group of bands who can make a full sound and creative and with lots of excellence, ritualistic, hatred, blasphemy in his lyrics, with well crafted, distinct content. After so long in existence, they have gathered a wealth of experience and dark talents, which they liberally pour into their music. "Zos Vel Thagirion" is an infernal and raging metal of blackness. They have been slinging noxious, elevated extreme metal scene. 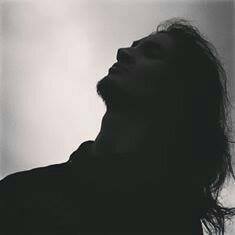 An ever-increasing number of black metal bands feature dissonance and accessibility in equally impressive amounts. 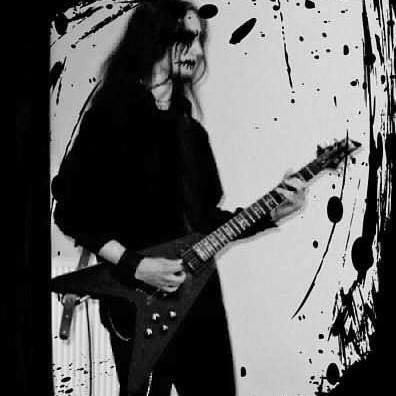 Certain black metal bands were able to gain proper attention and actually attempt to cross both realms and unite them under one cohesive effort. Indeed they both are the well-established group of bands who can make a full sound and creative and with a lot of excellence, ritualistic, hatred, blasphemy in his lyrics, with well crafted, distinct content. Aforementioned both bands have poured their musical devotion into a chalice of sulphur flame where it burns with obsidian light. Now I’m straight diving to the point about this new Split. Their incantations whole compositions are an extremely filthy and unsettling piece of sinister euphoria and unearthly ambiance .when at first I’ve checked out their first excerpt I was just overwhelmed and this split was one of my long awaited, anticipated split off past year. Both bands each and every member are excellent musicians appreciate their unsurpassed quality, ability, and skill. All of their tremendous effort portrayed in this split in a radiant way with excellent diligence and nailed it. 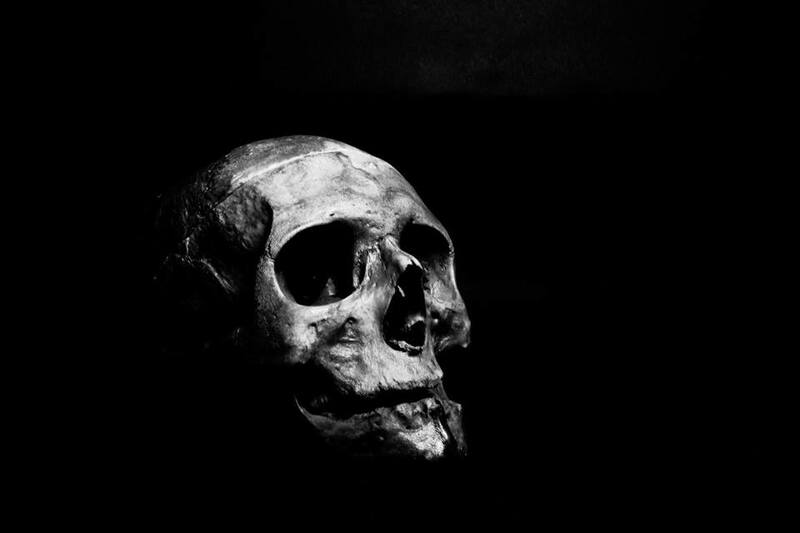 After a multiple listen their last studio effort infused me with their Unrelenting, powerful, blasting, overarching, chromatic, chaotic, multi-layered, ultra-dense, ritualistic, monolithic black metal musical style laced with atmospheric vibe just blew me away.T heir's collective wisdom and expels it as almost 32:37 minutes of shadowy artistry. Their musical style has a hypnotic effect and especially ritualistic, esoteric, arcane vibe which adds to the more atmospheric kind of black metal but at the same time, the vocals and other parts of the riffing are straight forward blasphemous simultaneously. This whole split reflects the grand diversity of sound brought together on this split. It is really not easy to describe their complex musical style. Black Metal with unconventional influences enjoys indeed tend quite popular.A natural synthesis of dissonant sounds and disparate styles all combined in one bold, enlightened display of unbound creativity. Despite the often mysterious ,furious,cacophonous ,heavy and barbarous form of black metal assaults laced with dark eerie,gloomy and occult atmosphere with a lots of segments of slower,mid-paced tempo too where they combine cavernous drum thrashes, melancholic guitars ,previously mentioned all aspects enriched this split that is very powerful, strong and excellent all at the same time along with a good balance of black metal music, melody and brutality with strangulated, filthy, horrific riffs work and those effective chants simultaneously borrow blackened, gloomy, sinister vibe. They know how to hone their aggression to deal with some grievous wounds. I highly appreciate and embrace this split because of their distinct style. well, this split's opening track “Azazyel Iscariot” starts with sonic assailment, the obtuse, grotesque, whispering, atmospheric sound followed by an onslaught of tremulous, dark eerie, savage riffs and a wall of blast beating, spectacular drums laced with aggression, deliberate cadence. Their whole composition and musical style are impeccable also borrow great atmosphere. They both have injected ritualistic essence, obscure, arcane, esoteric vibes into blasphemous black metal style. Their musical representation evolves into souls wandering vicious, crushing and ominous wasteland. This whole split gives u pitch-black feel from beginning to the end and I warn you this is a gloomy journey. This split is filled with a slew of cadence, apocalyptic, squalid, ominous, hellish, crawling, slow but powerful riffs work. Drumming, the percussion line up is bleak, frantic, solid, clattering and powerful. In each track, breathtaking, morbidly delicious, scalding, macabre, soaring riffs, bass lineups matched in a good manner with hellish, devilish chords and horror, mournful sounds are rightly used as an additional uncanny harmonic layer. 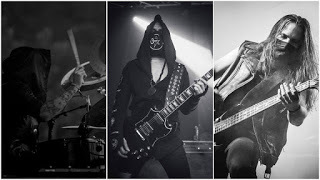 The most striking thing you’ll notice about the sound of them is the air of darkened auras, occult moods and haunting melodies that quite literally drips from the noise they create. This whole split's sound delivers a dissonant, grim feeling, sinister, occult, gruesome black metal with raw emotion and pure energy. 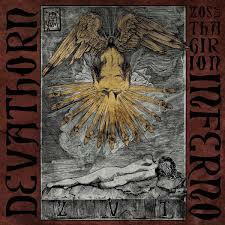 “Zos Vel Thagirion” endures beauty of black metal. This split indulges strong songwriting and brilliant musicianship. Vocals howling scream, hoarse , immense, inhuman voice and effective chants emerged on this split in a well manner and intertwined perfectly with their utterly spellbinding,obtuse, mysterious,fully blistering, blasphemous, ritualistic, grandiose black metal,distant musical style with a lots of melodic,atmospheric,occult,ritualization accompaniment and embedded perfectly . Overall you will get sinister, gloomy, desolate, mysterious ambient from this whole split. I really worship and highly cite both bands. Each song has energy, fluency. Stand out tracks are all of them. Split artwork is atrocious, grisly, indelible. Overall “Zos Vel Thagirion” whole split is Spectacular, engrossing, significant, rich, Spirituality full of evil, Scary shaking of dark vibration. This split sounds so authentic and a truly remarkable sonic journey from beginning to end. Indeed this split is such a true gem. I’ll say this whole split is the aesthetics of black metal.Outstanding another one release so far. This is highly recommended to add it in your collection.If you are looking for something different, epic this pure unadulterated black metal utterance is perfect and it will pull out your soul from your body and take you on a journey into another universe. so, enter the void and I am sure definitely you will come out stronger, darker, gloomier than ever before. This is a prism of unlight. A ruthless plunge into the cold arms of death, told by the blackest of scribes and channeled through an unhallowed wavelength that makes most black metal bands shiver in fear. The obsession with anything outre is not exactly a novelty in the metal scene, but occasionally it will assume a much more complex and nuanced dimension owing to musicians who insist on addressing such topics with utmost maturity and profundity. As caustic as anything released this, year The Unwritten Chants of the Dying Light is an unstoppable mass of swirling black carnage that is immediately haunting and intense. Numerous bands have created albums based around their own ideas that take insight from creative writing, but few bands will dedicate the entire span of an album to the relevant interpretation of the belief With the emergence and escalation of notorious tendency. Spawning from the depths of Sadness, suffering, madness, pain, Knowledge is the newest record from orthodox black metal duo Glädje - The Unwritten Chants of the Dying Light. Glädje this Polish group married the fury of suffering, pain black metal with a creeping dose of mystical, ominous, sinister madness. 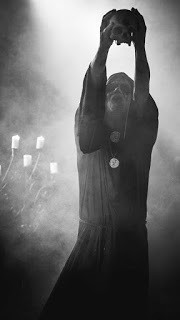 The atmosphere and tightly plotted albums were based on mystical, occult, incantation while still employing their own take on black metal. On this year Polish black metallers Glädje Unveiled their debut full-length opus on this year entitled “The Unwritten Chants of the Dying Light” with 39:23 min running time along with skin-ripping, bleak, shadow-cloaked, blood-freezing artistry. This new album consists of 7 tracks. They have developed into an independent mystical, occult and grand entity with their debut album. Now I am straight going to the point about this new album. When at first checked out their manifestation I was overwhelmed and the track sounds so authentic, mature from then I was clinched that I have to check this whole material for sure and this would be a savage beast. Glädje delivers distinct, atmospherically evil, a vivid, horrifying form of black metal. This bands each and every musician did a fantastic job on this album in a radiant way and It’s really great when your high hopes are not misplaced. This whole album reflects the grand diversity of sound brought together on this album. A natural synthesis of dissonant sounds and disparate styles all combined in one bold, enlightened display of unbound creativity Despite the often crushing,fast ,furious,cacophonous black metal assaults with a lots of segments of slower tempo too where Glädje combines an atmospheric, mysterious, introspective passages with cavernous drum thrashes, morose guitars and those effective rasps. The raw and obscure line is meticulously preserved while more current elements are inserted without compromising the quality and the old school line. well, their latest incantations opening track starts with raindrops sound along with some brilliant melody after that their quasi opener "The Path" is massive, vivid black metal assaults. The layered tapestry of a duo-tonal whirlwind of guitar noise laced with aggression, deliberate cadence and progression seasonings supporting the likewise vocals large voice drown a bit in the almost unhuman-like drumming, although this evolves to a more dynamic sound on the rest of the album. Their whole composition and musical style are impeccable also borrow great atmosphere with sour, dissonant riffs work. When guitar solos and leads are utilized they are done in a very modern, melodic and atmospheric fashion while the songs include a great mixture of slow, mid paced and fast parts along with the riffs also bringing a great amount of melody. These new album whole compositions are the extremely filthy and unsettling piece of sinister, grim euphoria and unearthly ambiance. “The Unwritten Chants of the Dying Light” commences chronologically invigorating. Their distinct entity infused me by a lot. Their musical style has a quite soft and smooth edge in the synth playing which adds to the more atmospheric, unique kind of black metal but at the same time, the vocals and other parts of the riffing are straight forward ferocious simultaneously. Honestly, after a multiple listen this album just blew me away with their ethereal abyss,multi-dimensional, ominous musical style. Each musician have exuded tremendous, cohesive effort on this album with excellent diligence and nailed it.G lädje really does the trick for the atmosphere is the overall murky, mysterious, Juxtapositions of darkness and light, the misty sound that comes from the music. I highly cite and embrace this album. This album is filled with a slew of cadence, apocalyptic, pummeling, ominous, hellish, powerful riffs work. As well bass line up is whopping, intense, strong, rumbling, slithering. Drumming, the percussion line up is bleak, frantic, solid, clattering and powerful. The guitars are solely focused on creating a grandiose atmosphere but predominantly rely on walls of sound and swerving rhythms. In each track morbidly delicious, macabre, soaring, dark eerie, ghastly riffs, bass lineups matched in a good manner. This whole albums sound deliver a dissonant, grim feeling, sinister, melancholic, gruesome black metal with raw emotion and pure energy. “The Unwritten Chants of the Dying Light” endures beauty of black metal. This album indulges strong songwriting and brilliant musicianship. This album has a hypnotic effect on the listener. Vocals decently large voice that does well for Glädje. Especially his menacing and hoarse voice are excellent. 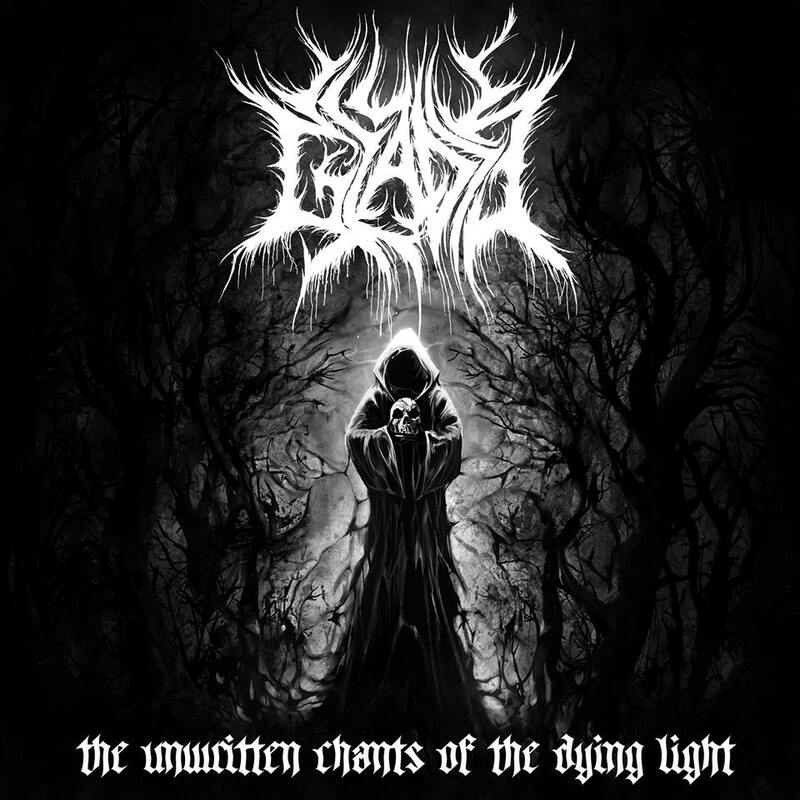 Vocals howling scream, immense, deep rasps voice emerged on this album in a good manner adds a thick murky sound and intertwined perfectly with their utterly spellbinding, obtuse, bizarrely arrogant, mysterious, fully blistering black metal, distant musical style with a lot of melodic, atmospheric accompaniment and embedded perfectly. Their sound, the musicianship is absolute prime, with every song unleashing a seething torrent of scalding dissonance and insidious melody, scorching distortion, invective, all of which combine to produce an overarching atmosphere of creeping, crippling dread. 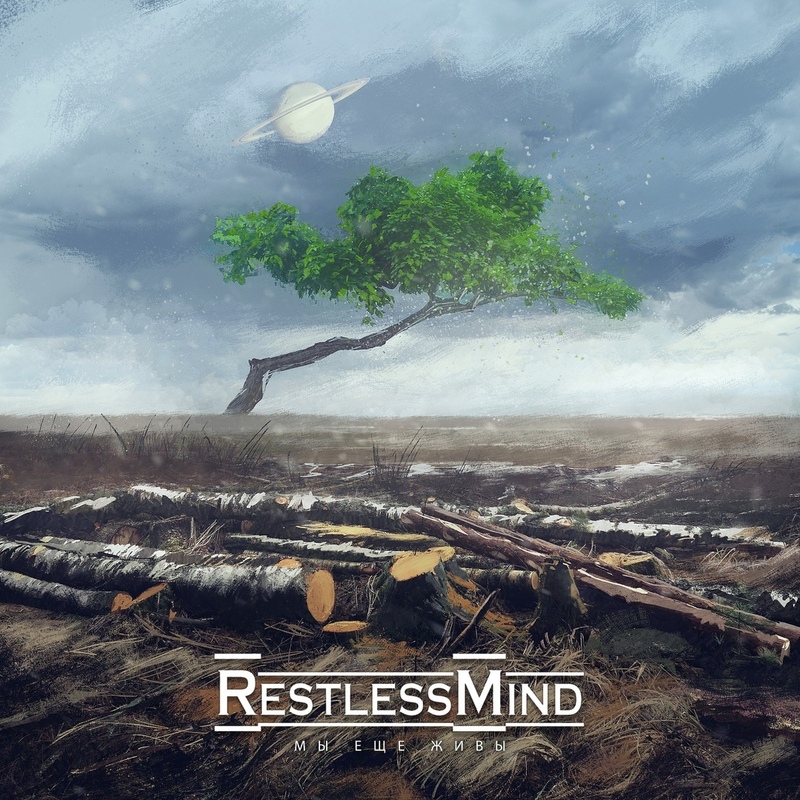 Overall you will get sinister, gloomy, desolate, mysterious ambient from this whole album. I really worship this band. Each song has energy, fluency and draws a savage landscape. Stand out tracks are all of them. Every song, skin-stripping riff, and vile vocal incantation is delivered with the righteous fury and unwavering conviction of the true believer. The vision of the album cover is Pretty neat, solid, atrocious, grisly, macabre, gorgeously hideous. Overall “The Unwritten Chants of the Dying Light” whole album is Spectacular, engrossing, significant and goes all the way through with a relentless rage from the beginning. The sound has a depth to it, that with brief distortion. This album sounds so authentic and a truly remarkable sonic journey from beginning to end. Indeed this album is such a true gem of this year. The production is absolutely impeccable, capable of handling both the massive atmospheric and gargantuan heft. Outstanding another one release of this year so far .“The Unwritten Chants of the Dying Light” is shattering culmination in black metal evolution. The Polish bruisers still possess all the necessary skills and hard-won experience to put younger, newcomer challengers in their place. With "The Unwritten Chants of the Dying Light", Glädje writes another chapter in their book of successive masterpieces. 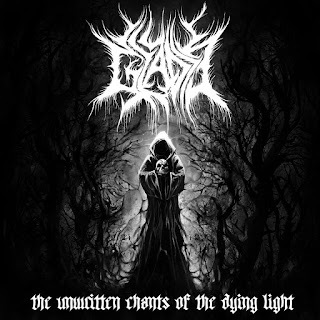 If you looking for something different, epic this album will take you on a sophisticated and weighty black metal journey into another universe where music has the power to transcend the spoken word. Hello Andre, and welcome to MetalHeadSpotted Magazine. Lets start with a simple question - what did you have for breakfast today? At this exact moment, I only drank some good ol’ Cuban coffee, it’s still early in the morning so I will cook up something sooner than later. Tell us more about your solo project, and how you decided to form "Agon"
Well I always wanted to create music and spread it around the world to have people hear it and appreciate it, so I wanted to write music straight from my heart, show everyone how my feelings were at the time. I wrote so many different songs and styles just trying to find my sound that I wanted to express, and the final product was the one that finally satisfied the sound I was searching for. Why you choose the name "Agon" for your project? I am a fan of Tolkien and his works, so I wanted something related to his lore. I found the word Agon and it said that it means “twilight, dusk” so I chose it since I liked the sound of it. Later on, I found out that agon is also a term from ancient Greece which stood for a struggle or a contest. That definition struck even more with the themes of my music, so I incorporate both meanings into my music. It doesn’t have to come from the northern regions of Europe to be good black metal. It all depends on the musician and what story he or she wants to tell to the audience. If it’s straight from the heart with great musical artistry, then it should be effective no matter the context. You could live by the beach or live in the middle of the darkest forest, no matter where you’re located, if you know how to write black metal and have the listener relate to it, you have done your job. It took me up to 2 plus years to finally find my sound that I wanted for Hollowed Lake and during those years, I wrote some riffs for the album sporadically. It was only just to put them together and add additional elements to the songs to flesh them out. Recording-wise, my set up is simply just my iPad with GarageBand, my iRig guitar interface, and Lurssen Mastering Console app for the mastering. You've made a long way since the release of the album - you signed with GlobMetal Promotions and your music entered the charts in Russian radio stations. How can you explain that after the release magazines all over the world publish the project but the Russian people found your music the most interesting? I got no clue! I’m as baffled as to how I have a formidable following in Russia compared to even my local Miami scene! All I can say about this grand influx is because of GlobMetal Promotions and the hard work from Kostya Aronberg to promote my music in websites and radio stations in Eastern Europe and Russia. I could not have been more grateful for his help in spreading my music around his region. 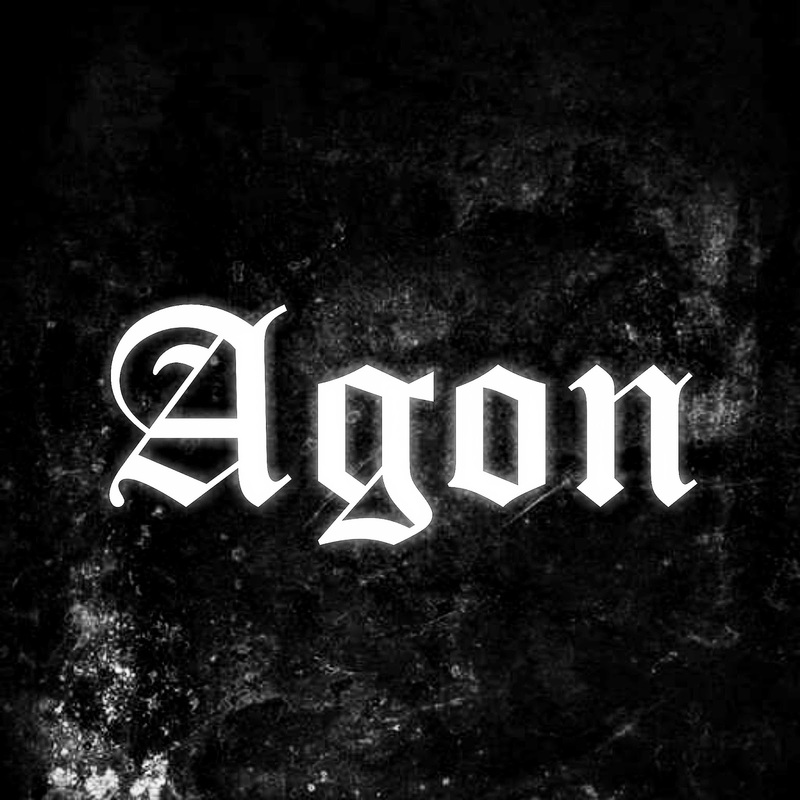 My plans for Agon is to release my second full length album. I already have more than half of the album written out, just need to come up with a few more ideas to then record, produce, and master it all. Hopefully I can also try to play my songs live if I find session musicians who would be willing to learn my songs. Thank you for your time. Any last words you wanna say to our readers? Thank YOU for wanting to interview me about my music! I am honored that you want to help spread my music to others around the world. And for all the readers out there, I know my music and the music we listen to leans towards the sad and depressing spectrum of life and our mental states, but I want to let you know that there is a light at the end of whatever depths you are currently in right now. Luckily for me, I feel happy with my life at the moment compared to the time when I wrote this album. So I hope that with whatever help you may get and with all the patience that you can muster, that you can too feel happy about your life as well. Much love and gratitude to all. Up the irons! 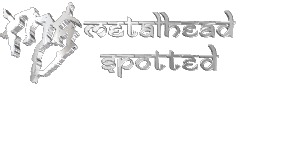 Hello there and wellcome to Metalhead Spotted Magazine. How are you and what are you doing this days? George Ognev: Hi! We’re fine and working on our album. Also we’re preparing for a little journey to Saint Petersburg to play our show there on March 17. 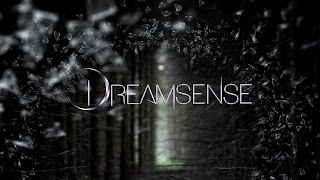 Let's start with some old fashion history, can you please tell us about Dreamsense and how it was formed? George Ognev: Sure, gladly! 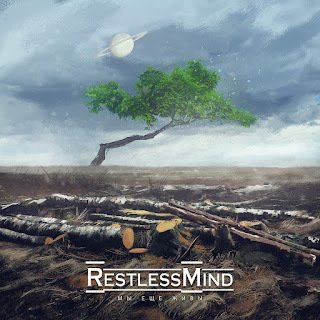 Dreamsense is a metal band, which uses symphonic orchestra in arrangements. It was formed by me. In a 2015 we had play our first concert. What gives you inspiration to write the music? Tony Shabbat: The world around. People, nature, other music and every possible kind of art. George Ognev: It was very well received by our listeners. Tony Shabbat: Good. Song was well received by our audience especially at our shows. I can say that people love it and it makes me feel proud to be a part of this. Do you have any plans for new album/EP? If yes - when it will be released? George Ognev: Totally yes! We’re working on our album right now! It almost finished:) If everything’s go well, it will releases in autumn. I must say that people here in India don't know much Russian Symphonic Metal bands, do you know more bands like you in Russia? George Ognev: I don’t know:) Really! Russian Symphonic scene is quite monotonous actually. I find Dreamsense absolutely different from other bands. I can’t even say, that we are typical band for this genre. We are more metal band with orchestral arrangements, than just Sympho Metal. People always say that we sound more like Dream Theater and Within Temptation. Maybe because we like to experiment and trying not to cling to one typical style. George Ognev: It’s very specific and interesting. Thank you for your time, hope to see you live soon. Any last words for our readers? 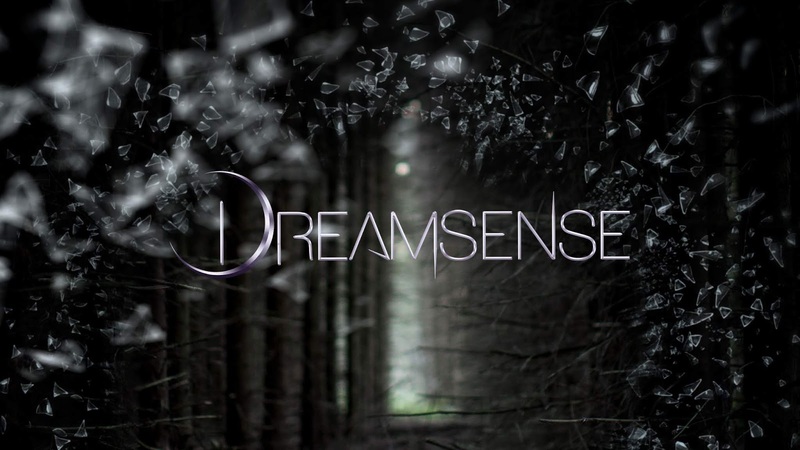 George Ognev: Don’t stop dreaming and listen to Dreamsense! Tony Shabbat: Always support your local scene. Listen to the various music. Be kind to each other and take care of yourself. All the best wishes, ladies and gentlemen. Hello Belle and welcome to Metalhead Spotted Magazine. Let's start with something simple - what did you have for breakfast? Hi there! I had an omelette and double coffee to wake up - downside of getting up early. Can you tell us more about Belle Morte project and how it was formed? The idea behind Belle Morte was always about playing on contrasts - in music, lyrics, visual imaginary, everything. It’s about seeing its own beauty in disturbing things, ugly things, and, vice versa, seeing the bad side in nice things which might not be that obvious at the first sight. Inspiration comes from everywhere – sometimes I can feel fascinated by a single word as it gives an impulse. Overall, I don’t write songs when I’m feeling happy. Composing for me is a relief and the only helper when I feel sad and depressed. Luckily (or not) it happens a lot. I’d love to say we are, but as we all have full-time jobs, that would be an exaggeration. Still we spend a lot of time working at the studio and thinking through all the details: we have ton of raw material and even more ideas waiting for their turn. How can you describe your music and it's style? It has always been “music first” for us, meaning doesn’t really matter how it will be classified and what style it will be in, as long as the song itself is something people love listening to. I hate giving labels and arguing what band is “true” enough: it either produces something worthy or not. Beside the studio work do you have any plans in the near future to have a full lineup and start a big tour over the world? It depends on what to consider “near” 🙂 Our goal #1 is recording the full-length album. As for the tour, that would be a nice thing to do after we have the album done, which realistically might happen in a year or so. It’s rather small and everyone knows each other. We have lots of talented bands here, sadly, many of them are not so well-known outside the community. In our magazine we usually ask musicians about their opinion if their president will like their music if he will hear it, and you will not be an exception so - what do you think Alexander Lukashenko will like the band music if he will hear it? Hope he does, moreover, plays along on the accordion, giving our music some folk vibes. Thank you for your time and interview. Any last words to our readers? Thank you so much for having us! We appreciate the fans who has been extremely supportive all this time - stay tuned as we are one step close to releasing the third single from our upcoming album and it would be something fresh and solid! 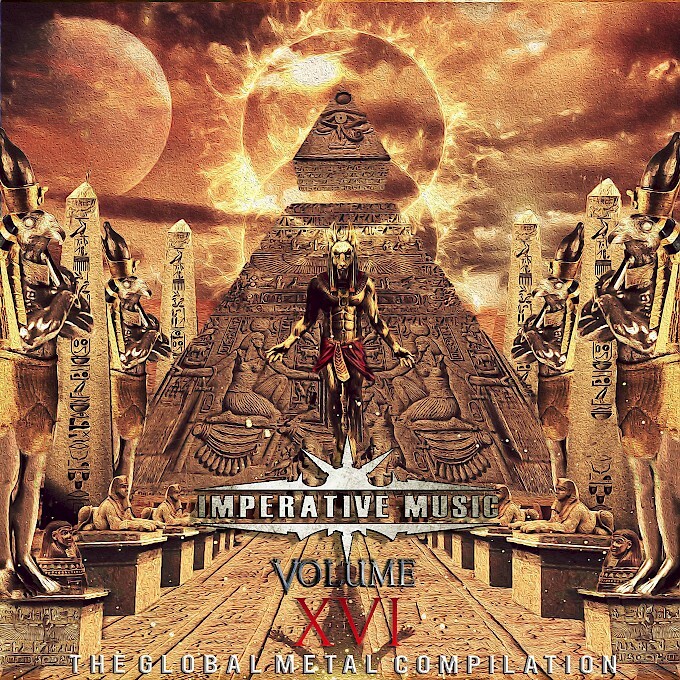 Australian Thrash Metal band Fragmenta will release their new single in the new "Imperative MusicCompilation" on 15th February, 2019. 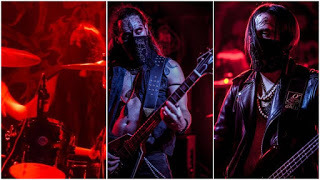 The band vocalist/guitarist El Dunco described the band new single: "Exciting, electric, pounding, danceable Kyuss meets Rammstein industrial thrash. 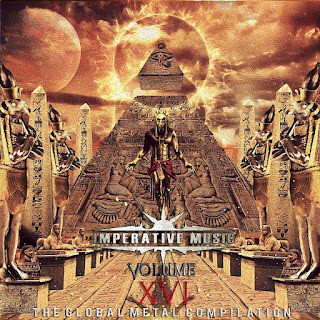 Our best blend of industrial and thrash yet". Fragmenta is an original Industrial Thrash Metal band, formed in Adelaide, South Australia. The band gained national recognition in Australia after featuring on popular currant affairs program Today Tonight, which noted their "dark themes" and branded them "a violent assault on the senses."